When I started as a doula nine years ago, I did something unpopular in my community - I charged for my services while doing my certification births. I charged a fee because my ALACE (now ToLabor) trainer suggested we do so. The next organization I trained and certified with, Birth Arts International, also encouraged us to charge for our services. And although I did so and was never challenged about charging by my clients, I was questioned on occasion by doulas in my community. 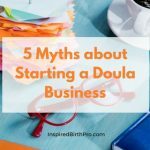 Because at the time, getting paid for doula services prior to certification just wasn't how things were done. I later wrote a blog post on IBP about different pricing strategies and looking back at it now, I can see how even then, I was very careful about how I framed charging for services. I recently came across this old blog post again, and I decided to ask the ladies on the Inspired Birth Pros Facebook group their take on how much doulas should be paid. Clearly, the tables have turned and it appears more doulas are told to not only charge right out of training but to make a "living wage." There was some respectable debate with varying views. Even I admit, nine years later, that in hindsight, if I had it to do over again, I might have taken a different route and done some volunteer/low-cost births or paid for mentoring to feel more confident and get more experience more quickly. Is it because I'm in a different phase in my life that I think this way now?? I remember feeling pretty indignant in my 30s about "charging what I was worth." 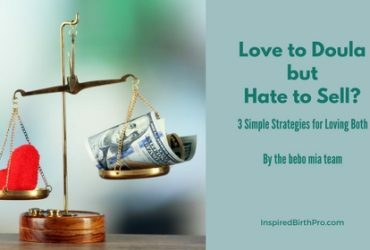 I spoke to quite a few people before I wrote the above blog post on doula pay strategies, and every person had strong convictions that the way they priced their services in the beginning was right for them. The same can be said about our Facebook discussion too. While I wholeheartedly believe birth doulas should build a sustainable business where their income can contribute significantly to their household income, does that mean that new doulas should expect to be making a full or close to full rate shortly after completing training? When someone hires you, they are paying you for your time AND your expertise. If you have only attended one birth, your expertise is minimal. 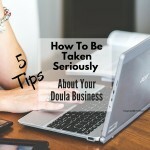 Everyone's time is valuable, and new doulas are always stating this as a way to charge as much as a seasoned doula. But our expertise varies, and it is ok to admit that. 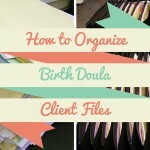 I charge way more now than I did as a new doula because I can give my clients more than just my time. I can give them everything I have learned from 13 years of attending births, conferences, advanced doula trainings, and more. 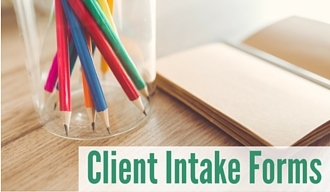 Those are things I couldn't give my early clients. And when clients ask why I charge more than anyone in my area, I confidently say it's because of my expertise and experience. 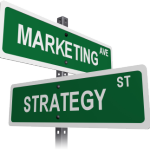 No other professional jobs are paying their newbies the same price they are paying their experts. When my husband was a brand new engineer he made half of what he earns now. Obviously, as doulas, we can set our own fees, but there is a difference between a living wage and an appropriate wage for where you are in your career. When I got my degree in music therapy I was required to do a 6-month internship for free, plus I had to still pay the university I was attending. Without my practical experience I was someone who had a lot of training, but zero work experience. This didn't make me feel less valued but made me value my training even more. It was the final, critical piece to becoming competent. True, you don't need any extra experience to emotionally support someone. But a woman with a stalled labor and extreme back pain is going to benefit more from the doula who has a good understanding of anatomy, Miles Circuit, rebozo skills, etc than she is from a doula who only knows how to offer emotional support. And I feel that informational support and education overlap quite a bit, and our ability to inform our clients will increase as our own education and experience increases. 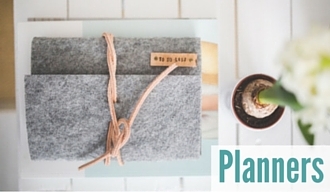 We do all come into this field differently, and the field of doula work is ever evolving. But a common theme is doulas wanting to be recognized and paid for being the valuable professionals that they are. To be treated and paid like a professional means being a professional and fulfilling standard, professional requirements like upfront education, continuing education, and hands-on experience. I agree, a doula doesn't need as much hands-on experience as was required for my music therapy degree. But to assume that we are just as capable and skilled without any hands on experience devalues our skills. 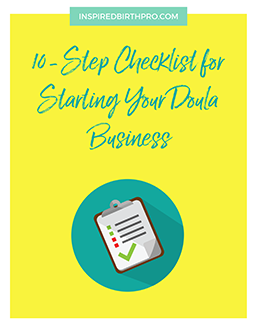 Why should someone pay hundreds of dollars for a doula, when it's so easy to be a doula, you don't even have to learn how to do it? Either being a doula is easy and doesn't require skills, (therefore shouldn't require a high cost), or being a doula is a developed skill that deserves fair reimbursement. Without professional standards and requirements, we should just be charging for our time as we are not valuing our own expertise. Yes, we can charge whatever we'd like. But we should respect our clients enough to charge a price that accurately lines up with our expertise. I think Marie gives us lots of food for thought. In response to the idea of free or lower-cost births, there were a few responses from doulas who said this way of pricing worked well for them in terms of gaining experience quickly and helping their confidence grow. There were others who started off not charging or charging very little, and they ended up feeling taken advantage of, their confidence was shaken, or they faced burnout more quickly. Some women felt strongly that starting at the free/low range devalues the profession. I think the crucial thing is that YOU know YOUR number that makes your work sustainable for you, your life circumstances, your family, your physical and emotional well-being. It's good to know the rates in your area that others may be charging but that's not relevant for your business decisions when you are putting your fee on your website or telling your fee to a client. Ultimately you may charge an entirely different number than anyone in your area (and it may be double or three times the others) and that's okay if it's the number YOU know is right for your work and you are confident when talking money with clients. 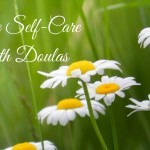 There were lots of free or very low-cost doulas in my area and also doulas charging double what I charged. 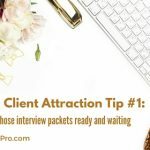 But I knew exactly what my business expenses were, my per client break down, the average number of hours (and the exact number of hours) I spent working with each client, my gross income, and my hourly. And knowing that was crucial to me setting a fee that I felt happy about being woken up at 3 am and being awake 36 hours and away from my family for 24+ hours. This work is emotionally rewarding - and exhausting. And if we want to be sustainable as a business then like any business, we need to be financially mindful. Know your numbers. ...When you know your numbers you can better gauge under what circumstances you may opt to offer a discount. 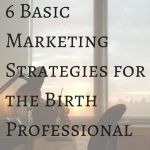 There were times I offered to attend a birth for less than my full fee - but it was when I offered (not when approached) and I knew what my monthly income was and it was presented in a way that my client knew my normal price and it was to families that I knew valued my work. 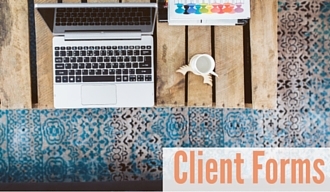 I've also let clients know I was open to bartering and I have always felt like I got a fantastic deal! We still use a contract and set up exactly what is involved, dollar value, and what happens if either breaches the barter. I've gotten chiropractic care, massages, a year of private in-home yoga sessions, among other things. I've known some newer doulas to offer the bartering option, too. And lest anyone think bartering can undermine our services - I've known dentists and photographers and midwives and building contractors to barter, too. The nutshell advice I heard as a newer doula was set your price for where you want to be charging in a year and list that on your website, then offer a discount off of that if you are doing certifying births or if you are struggling to get your first few clients. Some people suggested listing on your site that you are offering a discount for a limited time but don't put a specific discount amount on your website. 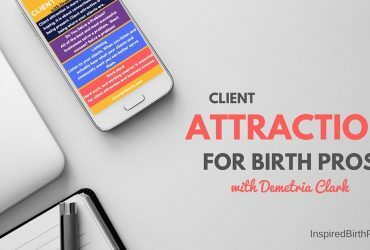 Once you have __ number of births (whatever number you choose) then get testimonials from those clients and get your price up to your goal amount. That's not exactly how I did it, but it was a starting point for many doulas. I also agree that you need to know your expenses and income tax rate for being self-employed and calculate what you are actually getting paid hourly based on those possible price points. I asked some very experienced birth professionals to calculate that and some said they had not ever figured out their hourly wage. When they did, it led to an eye-opening discussion for all of us, and price adjustments! So perhaps the post I wrote in 2010 about pricing strategies and how much a doula is paid has gone the way of the dinosaur. Industries evolve over time, and a movement toward being paid your worth is a good direction to move towards. 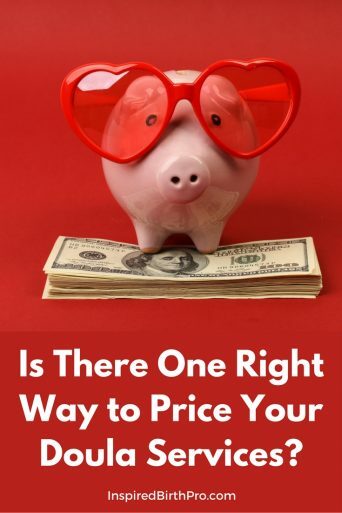 No matter how you choose to price your services, make it right for you and your family. 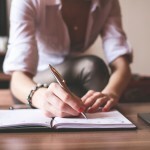 If you want to get a clearer picture of the breakdown of your rates, I found some blog posts written by doulas who shared their calculations -- use these as examples to break down your own doula pay. 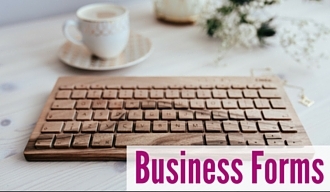 And if you need some help tracking your income and expenses, the Birth Business Finance Kit has a lot of useful spreadsheets and a workbook to help you get organized. Tell us about how your prices evolved in the comments. 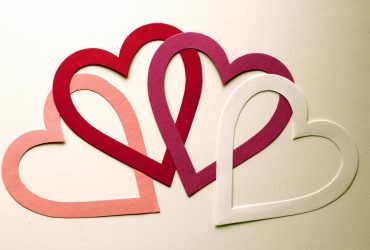 Or, join the Inspired Birth Pros group on Facebook and meet an awesome group of doulas and other birth professionals. Teaching Moment – Working, for Love or Money?